Migrants face life-threatening challenges during their migration journey and are at-risk for extortion, torture and sexual violence. The aim of the Migration History Tool project is to design a mobile tool that can help correlate migratory trajectories with medical conditions and points of vulnerability to support operational decision-making and advocacy for MSF programs. In this article, project team members from the Brazilian Medical Unit (BRAMU), Juan Cubides, Nuni Jorgensen and Matheus Oliveira, share their insights about this initiative. Capturing critical information from and on migrant populations remains a challenge, due to the inherent complexity of migratory patterns and the highly variable conditions that define migration processes. Traditional data collection methodologies and approaches often fall short in delivering information that accurately describes the profiles and vulnerabilities of these populations and usually fail to provide the means to accurately characterize the multiple factors that determine the health of people on the move. We are using a user-centered approach to design a mobile tool that can help correlate migratory trajectories with medical conditions and points of vulnerability to support operational decision-making and advocacy for MSF programs. The Migration History Tool aims to be a more dynamic, flexible and user-friendly option to collect important information in unstable settings, linking multiple times and locations to migrant health events and their experiences of victimization including extortion, torture and sexual violence. We are developing an interactive software for data collection integrated with mapping, in which the set of questions to capture migrant data can be entirely redesigned for each context. In MSF projects, the full range of migrant health needs and vulnerabilities are still difficult to assess, because of the lack of reliable data. By incorporating a flexible approach (in language and in the sequencing of questions), we hope to help interviewees remember events during their migration journey more accurately, minimizing memory errors and bias during the data collection process. In fact, interviewees will be capable of exploring and clicking on the map themselves throughout the interview. After each module is completed, they can visualize their own trajectories and life calendar, in a way that increases their capacity to remember if any information is missing. The tool will be available for use on tablets, smartphones and computers. Our efforts to date have been focused on two fronts: the development of the software for data collection and the preparation of the study proposals for the pilot and implementation of the tool in MSF migration contexts. We are currently in the final phases of software development and are moving towards the testing of mobile applications and prototypes. 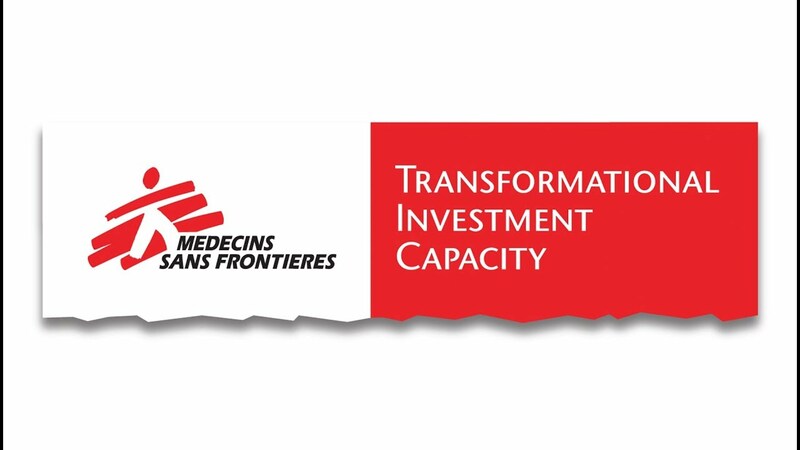 In addition, the MSF International Ethics Research Board has approved a general protocol for our methodology and we are working on the specific, context-adapted version for the pilot project in Beitbridge, Zimbabwe. Human mobility is a complex process that involves several context-specific characteristics. As such, one of our challenges has been to develop and adapt a methodology that is suitable for various settings. To assist our efforts, we are conducting a qualitative assessment to understand the specificities of each context and migrant population – we believe this as a key step prior to any future implementation. For the pilot in Zimbabwe, for example, we will have to consider at least three different population groups: the cross-border circular population living along the Limpopo River; Zimbabweans deported from South Africa; and international migrants. Additionally, we have been working closely with our software partner to make data collection as flexible as possible to account for these differences. We have connected with people in different OCs with similar projects. For example, OCG has an innovation unit which is looking for ways to gather migrant patient files and either make them available to different organizations working along migration routes and/or to migrants themselves through digital means. We will continue to explore opportunities to collaborate to share insights and lessons learned. 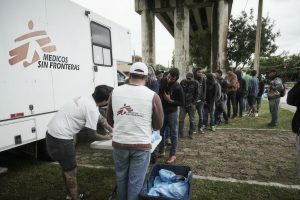 The main operational goal of this initiative is to provide MSF field projects and operations with reliable information on specific migrant populations, their characteristics, vulnerabilities and health needs. This information is key to identifying gaps, overcoming barriers in access to health care, and implementing effective and efficient health strategies for our patients and projects. Our findings may also be used to advocate for MSF beneficiaries, define key messages to stakeholders, orientate health promotion strategies and ultimately guide decision-making processes. We believe that the flexible and adaptive nature of the tool opens the possibility to generate information and analysis on other (non-migrant) populations and in diverse settings.